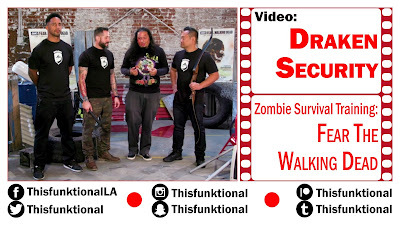 DRAKEN Securrity's founder Jaime Salanga, director of tactical training Vincent Lopez and security detail leader Jaime Yager train Jesus Figueroa, @Thisfunktional of Thisfunktional.com, on close, midrange and long distance zombie battles at the "Fear the Walking Dead" season 3 press junket. 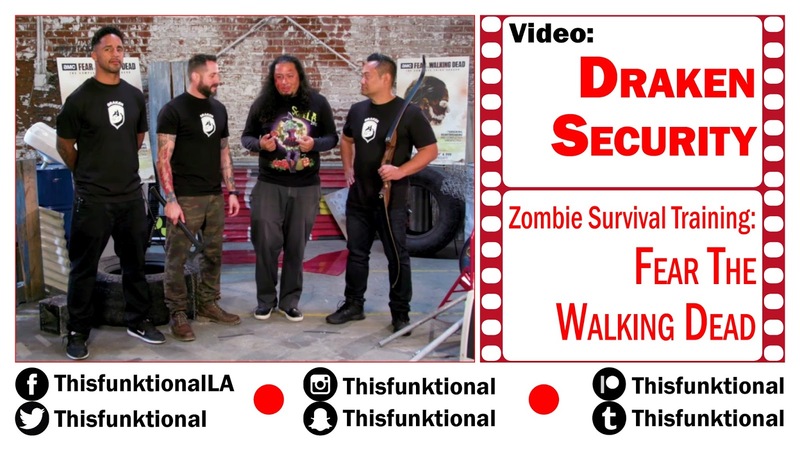 Yager taught close combat teaching how to fend of zombies without weapons available, Lopez demonstrated techniques with a Tomahawk Axe for midrange zombie battles and Salanga used a bow and arrow for a longe range battle with zombies. 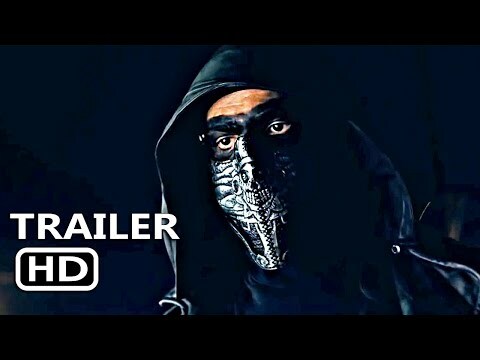 AMC's "Fear The Walking Dead" season 3 will be available on blu-ray, DVD and Digital on March 13, season 4 premieres on AMC April 15.